Home > Technology > How Do You Reach 2.5BN People On Earth? How Do You Reach 2.5BN People On Earth? More than 2.1 billion people purchased smartphones in 2016 and by 2018 that number will be 2.56 billion. That’s 1/3 of the global population. Mobile phone use has changed how people access consumer information and how they perceive it. The potential customer now has the advantage and it’s up to marketers to meet them where they are and engage them rather than mold them. Cell phone use also increases internet access to rural areas that do not have web coverage. We’re not talking about remote areas of unpopulated continents – there are rural areas in the United States that are still on dial-up. But now, with smartphones, consumers that live in these areas are online and ready to buy. In more urban and suburban areas, seasoned smartphone users are making more decisions from their phone than from their PC. Users are spending more time online when away from home, giving marketers more opportunities throughout the day to engage potential customers. Mobile usage is also opening up markets worldwide. China and India both surpass the US in smartphone use. Opportunities for marketers abound on a global scale. And mobile marketing services are available from a plethora of agencies and companies across cities like Dallas, Chicago, San Francisco today. 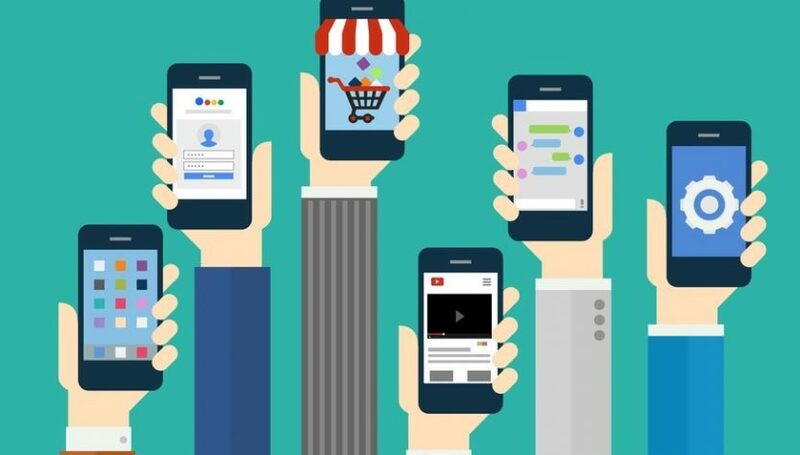 Scaling back down to the individual user, mobile devices offer a unique window of engagement. This device is used by only one person, it’s always on, and always in hand. The device is also near something, namely, your location or a location that is relevant to your objectives. Companies are quickly learning the importance of considering the ways in which prospects are connecting to their websites and viewing their content. Simplicity of content – mobile users scan for the information that they need and it should be easy to find. Content targeted to users according to their type. B2C users appreciate content that is video and image heavy, while B2B prospects prefer journalistic pieces that give headline type info upfront and articles they can access later on PC. The most crucial and impactive matter relevant to mobile marketing is staying up to the minute on trends. Consumers are more fickle than ever and a new choice becomes available every minute. The same goes for the ingenuity of your marketing peers – they’re coming up with new ideas at light speed. Gear up to become very specific in your ad targeting on social media – there is only so much room and you’ll be competing with a lot of other marketers. Make sure you know exactly where your ads will have the most impact and vie for those spaces. Creating apps in addition to the mobile optimizing of your website. An app displays at the right size and with minimal distraction. Mobile friendly websites, even the best, may require users on some phones to still “pinch” to view content. Advertising and marketing technologies will begin to converge with more transparency in their processes. With fewer discrepancies between data sets, these two tools will work better in tandem. Snapchat marketing is a novel and fun way for prospects to interact with your brand. Snapchat takeovers, in which a company allows another user to post on its account, is becoming a popular marketing tool in the form of entertainment incentive. Routing and measurement will also begin to work in tandem, resulting in analytics that tell how and why a user clicked through in real time. Marketers will be using more autoplay video ads in social media. Facebook’s Audience Network reports that 80% of impressions were from video ads. SMS text messaging is already outpacing email campaigns. It’s easy to ignore an email, but a text message is usually always opened. 90% of users open and read a text message within 3 minutes. Instant click to buy buttons. Facebook, Pinterest, Twitter, and other social sites are testing and using this technology. They will continue to refine the feature in 2017. Technology is also being created that lets affiliates “tag” a picture with an affiliate link that results in an instant buy. Text-to-Join campaigns will see a high success rate in the coming year. Consumers are delighted to find that their favorite brand is offering a coupon or discount. By subscribing to text campaigns, they feel they have an advantage in knowing when to purchase. Mobile marketing is expanding rapidly without a clear path. It can be a wildly flailing beast that you may feel apprehensive about tackling alone. Partnering with a mobile marketing agency like those in Dallas, Chicago, or San Francisco can be a smart move that keeps you far ahead of your industry peers. Working with a San Francisco mobile marketing company, for example, and tapping into the experience of a team whose sole focus is mobile marketing in the niche industries of that city would be of great benefit to companies in that area. A mobile marketing company’s professionals are experts in the myriad aspects of this resource including the platforms your company should be on, how and when to engage prospects, how to employ adtech and martech and measure those results, and more. To discover the most relevant agencies for your mobile marketing needs, look no further than Credibase, the network for companies and professionals to discover new business opportunities. New and upcoming agencies are getting themselves listed there and getting discovered by prospective buyers of services.